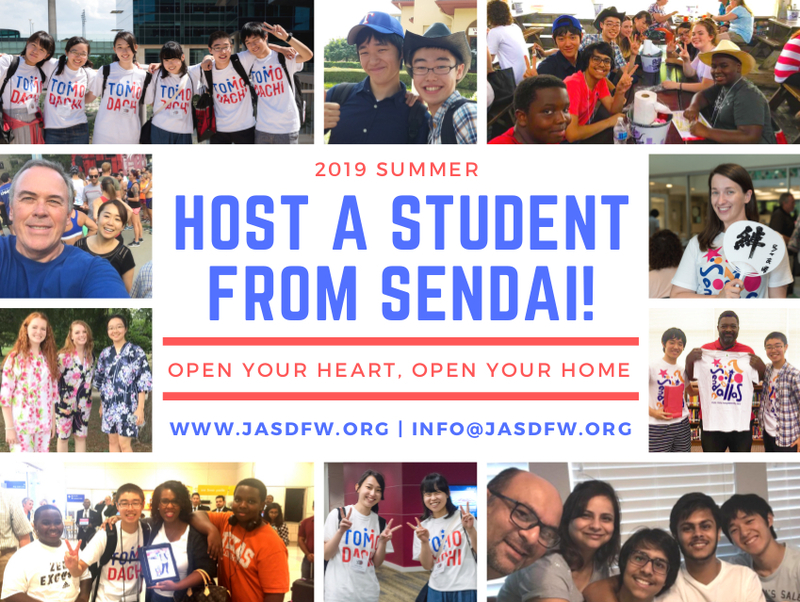 Japan-America Society of Dallas/Fort Worth Young Ambassadors Program: Host a Japanese Student! Young Ambassadors Program: Host a Japanese Student! Being a host family is as rewarding for you as it is for the Japanese student you bring into your home. You’ll learn about another culture, provide a once-in-a-lifetime experience for a teenager (ages 15-18), and form a relationship that will stay with you and your family forever! – show your student true Texas hospitality! Please submit your application form to Japan-America Society of Dallas/Fort Worth by Friday, April 19. If you have any questions, please contact Madoka Leonetti (email to madoka@jasdfw.org or call at 214.342.2022). 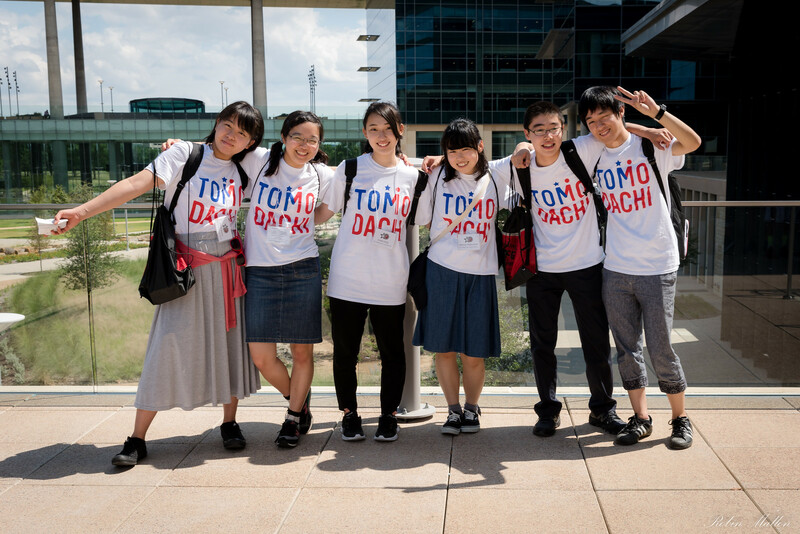 The Dallas-Sendai Young Ambassadors is part of the TOMODACHI NAJAS Exchange Program funded by the TOMODACHI Fund for Exchanges through generous contributions from Hitachi, Ltd., Mitsubishi Corporation, and Toyota Motor Corporation.